In Part 1, we shall introduce the topic, and learn about the goals and objectives of this topic & series. 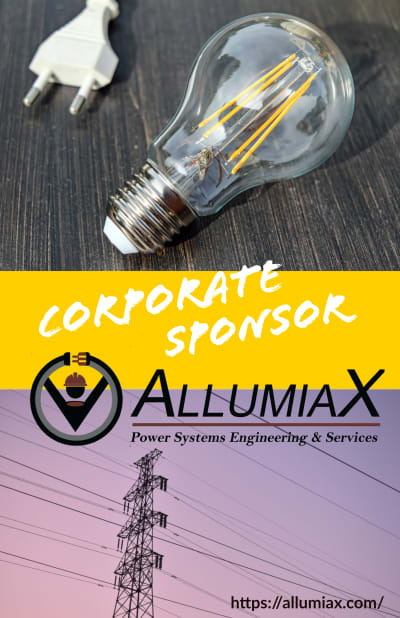 Our corporate sponsor for this topic is AllumiaX.com, from Seattle Washington. Contact them for industrial and commercial power system studies like short circuit, coordination, and arc flash studies. AllumiaX.com, also performs advanced studies like power quality, motor starting, grounding grid, reliability, transient stability, and snubber circuit studies. In this topic, we shall analyze various short circuit currents in a power system and hand-calculate various current and voltage quantities. 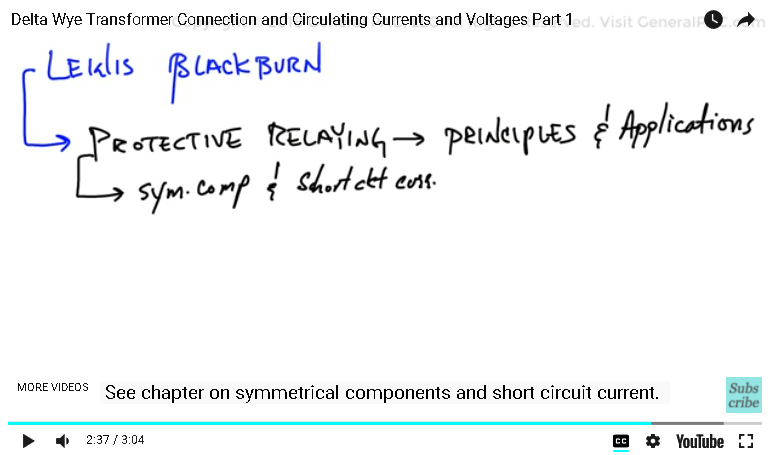 These quantities are fundamental to understanding how short circuit works in a Power System. This will be a very useful and content-rich topic with many parts. We will begin this series by modelling a very simple power system. There will be a 115kV synchronous generator connected to a Delta Wye transformer. The transformer steps down the voltage from 115kV transmission voltage to 13.8kV distribution voltage. Various short circuits will be applied on the 13.8kV side of the transformer. 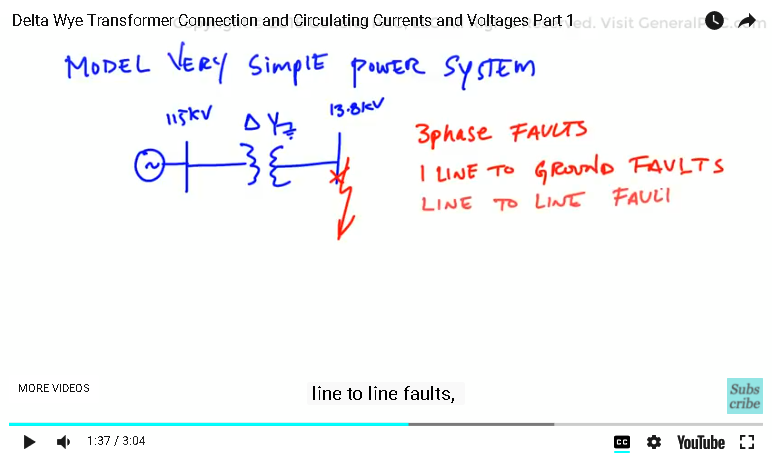 This includes 3 phase faults, line to ground faults, line to line faults, and two line to ground faults. The purpose of this example is to learn how to hand calculate current and voltages during a faulted condition. We shall calculate both phase current and voltages as well as positive, negative, and zero sequence current and voltages. We will use sequence network diagrams as described in many books and articles. We will connect the sequence network diagrams and hand-calculate short circuit currents. We will also discuss the zero-sequence network diagram for a delta wye transformer. 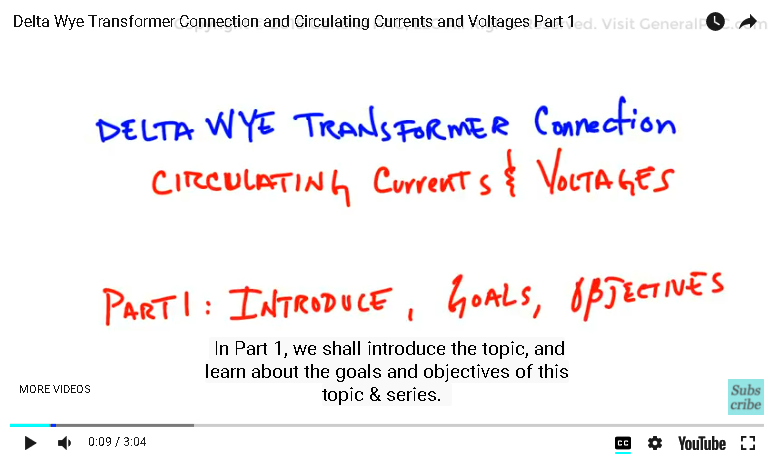 Furthermore, as a fault is applied on the 13.8kV system, we will learn how current flows through the Delta Wye transformer connection. And how the High Voltage side of the system differs from the Low Voltage side. We hope this topic and series is enjoyable and enlightening for students and professionals. If you find this content useful, please consider subscribing to GeneralPac.com… Making Power Systems Intuitive.